A Junkshop and Scrap Business is a simple buy and sell business, which is less considered by many since the traded products are unclean and soiled. But in another view, it is a lucrative business that generates a lot of money both for garbage collectors and junkshop owners. This business is most relevant today considering that the government has promoted environmental awareness among its citizens, expressing the need for proper waste disposal and recycling of materials as a major factor in protecting the environment. As one of the sectors involved in the country’s Solid Waste Management, junkshops are now being recognized for its large contribution in recycling activities and waste recovery. Clients are recycling agents to whom the junkshop owner will be selling the junk items, which have been sorted and segregated. 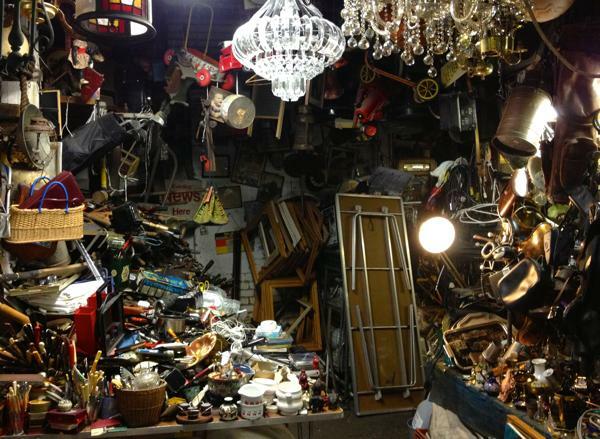 The junkshop owner must search the market for several possible recycling agents to get the best deal possible such as a lock-in period with regard to the buying price of a specific item within one month. Cost of delivery/pick-up also affects the price and should always be taken into consideration. The junkshop owner must bargain for the best deal possible and coordinate with the respective recycling agents as to the payment schedule and volume of deliveries or pick-up. 1. The walk-in customer/retailer with the recyclable items will be met and assisted by the helper. The helper will inspect the items and sort it out if needed. He will be the one to put the items in the weighing scale. 2. The OIC will then do the actual weighing. He will fill up a “weigh slip” wherein the type of item and its corresponding weight is reflected and his signature is affixed. The OIC shall submit the slip to the Cashier. 3. The helper shall then transfer the weighted items to the corresponding stock area. 4. The Cashier shall compute the total amount due to the customer. 5. The customer must personally receive the amount and sign the slip of paper as proof of payment. 6. The cashier shall file all Weigh Slips on a daily basis. On day one of operation, a pre-determined amount shall be the basis of the Starting Purchasing Cash (SPC), which shall be maintained and replenished at the start of each working day. • At the start of each working day, the Cashier shall count the SPC, which should be the pre-determined amount as mentioned. • At the end of each working day, the Cashier shall make a summary of all purchases and enter it in a log book based on the filed Weigh Slips. • The Cashier shall also note down all expenses made for the day, excluding purchases on a separate log book. • The SPC less all purchases and expenses of the day should match the existing cash-on-hand. • The Cashier shall then make a cash count for the day. • All cash in-flow coming from the Junk Shop’s sale to the clients shall be directly deposited to business’ bank account. • Search for potential wholesellers who have by-products in their businesses that would fall under the categories that the junk shop owner would be buying. • Buy directly from wholesellers/establishments with by-products or junk items. • Tap scavengers by providing them wooden pushcarts (kariton) on the condition that you will have the priority of their junk products and these will be bought at a lower cost to cover for the cost of the cart. • Sourcing of potential clients must be a continuous process. • The following are the basic factors to consider as to whom each type of item/material is to be sold: a) payment terms; b) schedule and volume of pick-up and/or delivery. • If there is a broker or agent for the client, it should be pre-agreed upon by both the Junk Shop and the Client that all payments should be made directly to the Junk Shop owner or his duly authorized representative. Contact the local municipality or provincial municipality where the business is located. or contact the Regional or District Office where the business is located. can i used your project proposal? for our feasibility study? Hi where I can inquire about this?